Alyssa Velles hit 26 points for the Maxol WIT Wildcats as they enjoyed their first road win of the season in Galway. 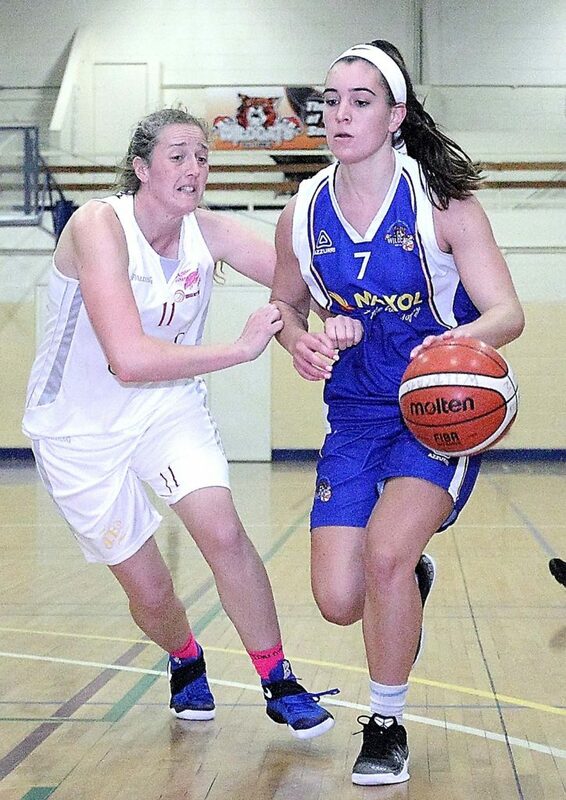 Maxol WIT Wildcats recorded their first away win of the season with a 66-73 win away to NUIG Galway. It was always going to be a big ask for Wildcats considering they just managed victory over their western opponents in overtime at home back in November. The Galway side were short crucial players on that occasion and must have fancied their chances of recording a home win. For the greater part of this game Wildcats struggled to get any real flow into their game yet managed to stay in touch trailing 36-32 at the halfway stage. Galway continued to dominate in spells but many excellent scores from Jazz Walker and Steph O’Shea (who is enjoying her best ever season with Wildcats) ensured that the home side could never put significant distance between the teams. Indeed as the game entered the final minutes Galway led by five points. Then, just like she did in the last home win over Killester, up steps Hot Shot Alyssa Velles who blitzed the oppositions net with amazing three pointers for Wildcats to take the lead (she had eight three pointers in this game). O’ Shea and Walker added to their total in the last minute of the game to ensure a win that’s crucial to Wildcats chances of making the playoffs. Wildcats have three more away games prior to their next home game and the first of those is Sunday next in the capital against high flying DCU. The Dublin outfit are one of the outstanding teams of the last decade and will be ready to avenge their 12 point defeat in Waterford October last. Wildcats on the other hand will know last Saturday’s performance will not be good enough if they are to keep their winning run going. But there’s nothing like winning to give a team confidence. No doubt Coach Dimitris Zacharias and his Wildcats outfit will prepare well in order to stay in touch with the top of the league table. Top scores for Wildcats were: Alyssa Velles (26) Steph O’Shea (20) Jazz Walker (18).